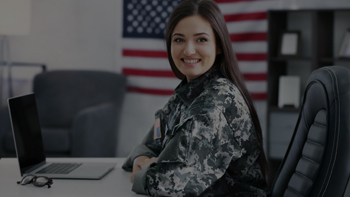 ECCU’s Master of Science in Cyber Security (MSCS) program prepares professionals to assume cybersecurity and information assurance leadership roles in corporations, agencies, and organizations. 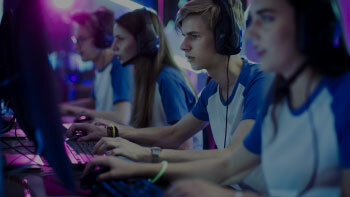 A curriculum rich in computer security management, IT security threat assessment, incident response, organizational management and behavior and leadership, challenges students to become creators of knowledge and inventors of processes. The master’s degree has been divided into a set of core courses that provide the necessary skills in cybersecurity, organizational behavior, and structure, research, and writing. The program then offers various specializations to allow students to select specific fields of study that they are passionate about, each having well-defined job prospects, derived from the NICE framework, affiliated to them. The Master of Science in Cyber Security program is offered 100% online, allowing students to complete coursework in a time frame that fits each person’s individual schedule. This also requires that the student has the appropriate kinds of technology and connectivity to sustain constant participation in class activities. Developed from a learning model based on Bloom’s Taxonomy, the master of science in cyber security’s educational objectives, identify what students should learn, understand, and be able to do because of their studies with EC-Council University. The university’s cybersecurity programs are established with a mix of both business management and technology applied practical studies. This is based on the industry’s need to have a balance of applied skills and disciplines in both technical domains of study and practical business knowledge in the workplace. The purely technical theory or heavily managerial focus of some programs does not produce as well rounded a cybersecurity expert as is generally desired by industry. The courses are presented in 12-week terms and consist of assigned readings, threaded discussions, case studies, written analysis, research projects, and examinations. Students must be prepared to spend 10-12 hours of study a week to complete the work. 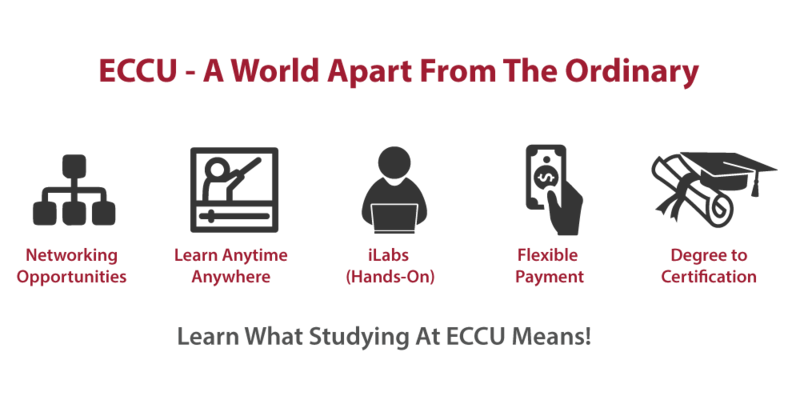 ECCU encourages regular and frequent student-faculty interaction via the internet. Syllabi and grading rubrics clearly set out the course requirements, expectations, and timelines, and students are kept abreast of their progress in the course through the MyECCU Online Learning Management System. ECCU coursework is delivered through a 100% online degree program, providing flexibility of time management whereby students can attend to coursework at any time of day/night or weekends (24×7). There is a structure to the week and term whereby attendance and submissions must meet predefined deadlines each week and weekly attendance and participation are mandatory. Synchronous scheduled class times are not utilized but adherence to discussion and homework weekly posting deadlines are. The course utilizes traditional university terms (semesters of 12 weeks) and is structured accordingly. So the course delivery sits in a flexible middle ground between the structure of set class times and attendance and the open-ended system of self-paced independent study courses. Each course is instructor-led by credentialed professors with industry experience with a maximum enrolment of 30 students. Guided discussion, interaction/engagement, assistance/support, and grading/feedback will be done with your professor weekly as the course proceeds. Courses typically consist of a mixture of weekly threaded discussions, reading materials, iLabs (ECCU’s online virtual platform to practice), presentation support (powerpoint and/or video), quizzes/exams and/or research projects/papers. 100% Virtualization for a Complete Learning Experience! iLabs was built for you, whether beginner or expert, iLabs is completely customizable to your needs. No experience necessary! Practical hands-on learning provides access to real-world tools and scenarios, boosts knowledge retention and is proven to be more effective at preparing you for the job! Applicants for admission must have a Bachelor’s degree from an accredited institution and a TOEFL score of 550 or better, or proof of English competency. For more information about admission requirements, please visit our Admission page. Official transcript(s) from the institution where the student received Bachelors or most recent Masters Degree. Completion of thirty-six (36) credits of 500 level courses in which the candidate earned a cumulative GPA of 3.0 or better. Satisfactory completion of the summative capstone course. 7 Industry Certifications Included in the Programs! 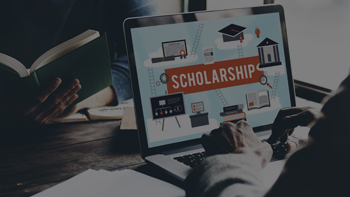 As a prospective EC-Council University student and current industry-recognized cybersecurity certification holder, you can also earn credits towards your courses, as a result of your prior learning/industry certifications. Under the prior learning portfolio policy, ECCU accepts certifications related to ethical hacking, penetration testing, network defense, digital forensics, incident handling, and much more. 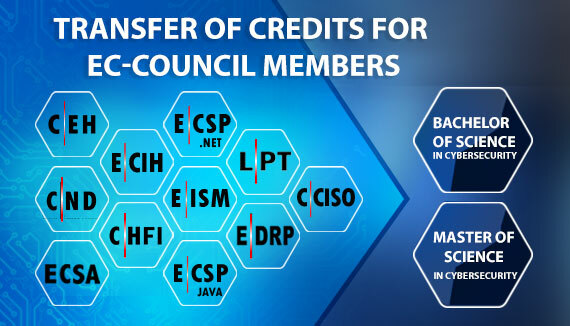 Click here to read more about EC-Council University Transfer of Credits program. An education is a major foundation of any person’s professional and personal growth. 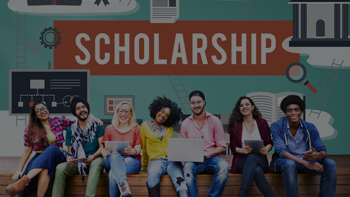 At EC-Council University, we not only recognize and help many students gain access to a chance at holding a scholarship, but also have many scholarship opportunities for our students, conducted through the years. A unique challenge to create awareness and opportunities for enthusiasts in the industry. promoted very soon to Director. of the jobs in the cybersecurity domain." my understanding and it made me very successful in my field." Fulfill your dream of becoming a Cyber Security Leader. Become a student at EC-Council University today! This course focuses on the fundamental areas of fortifying your defenses by discovering methods of developing a secure baseline and how to harden your enterprise architecture from the most advanced attacks. It provides segmentation and isolation to reduce the effectiveness of the advanced persistent threats. This course focuses provides comprehensive knowledge of cloud services, their characteristics, benefits, applications, and service models. It covers planning, designing, and implementing cloud security controls. It delves into various cloud standards, countermeasures, and best practices to secure information in the cloud. The program also emphasizes the business aspects of cloud security such as cloud uptime, uptime guarantee, availability, fault tolerance, failover policy, and how cloud security strengthens the business case for cloud adoption. This course provides the essential and fundamental skills for secure programming. The most prevalent reason behind buggy code and vulnerabilities being exploited by hackers and malicious code is the lack of adoption of secure coding practices. This program will ensure that students are exposed to the inherent security drawbacks in various programming languages or architectures. They will be exposed to exercise secure programming practices to overcome these inherent drawbacks to preempt bugs from the code. This course addresses various underlying principles and techniques for detecting and responding to current and emerging computer security threats. Additional emphasis is placed on computer forensics and its role in handling and responding to incidents. Through this course students will be proficient in handling and responding to various security incidents such as network security incidents, malicious code incidents, insider attack threats, incident response teams, incident management training methods, and incident recovery techniques in detail. This course focuses on disaster recovery principles including assessment of risks to an enterprise, development of disaster recovery policies and procedures, the roles and relationships of various members of an organization, preparation of a disaster recovery plan, testing and rehearsal of the plan, implementation of the plan, and recovering from a disaster. Additional emphasis is placed on identifying vulnerabilities and taking appropriate countermeasures to prevent information failure risks. Whether an organization has experienced a disaster, downsizing, a shift in culture or a change in leadership; it will experience organizational change. This change demands remembering the past, finding ways to recover from it, engaging the future and energizing change. Leaders in change must have the skills to identify, structure, forecast, envision, design, plan, implement, account for and lead a team through change that has been strategically planned to advance the organization. Such a leader is a change agent and must understand the process, expectations, and nuances of change. Andre, Rae. Organizational Behavior. Prentice Hall. c2008. ISBN: 13: 978-0-13-185495-6 (chapter 18 only from this book). Robbins, Stephen P. & DeCenzo, David A. Supervision Today, 5th ed. Prentice Hall. c2007. ISBN: 0-13-172609-9 (chapter 15 only from this book). This course is designed to provide fundamental skills needed to understand global leadership concepts such as developing technological savvy, appreciating diversity, building partnerships, creating shared vision, maintaining a competitive advantage, integrity and leading for change. This is a study of current and historical leadership theories with emphasis on viewing the leadership function in the context of global organizational behavior and organizational designs. This course is designed to bring together all the components required for a C-Level position by combining Governance, Security Risk Management, Controls, and Audit Management, Security Program Management and Operations, Information Security Core Concepts, Strategic Planning, Finance, and Vendor Management to lead a highly successful IS program. This class is designed to provide students with the knowledge of how to manage IT security projects to enhance the success rate for both organizations and IT managers. It acts as an operational framework for users who design their own IT security project plan. The goal of PMITS is to help the students implement their IT project management skills by providing a road-map for implementing IT security in their organizations. It standardizes the knowledge base for business professionals by incorporating the best practices and legal standards related to corporate IT security.